American Bob Levinson has been missing in Iran for more than 11 years. As Secretary of State Mike Pompeo brings three Americans detained by North Korea back home, and President Donald Trump exits the Iran nuclear deal by slapping sanctions back on, the families of the six Americans detained or missing in Iran are urging the administration not to forget about them. There are five Americans held prisoner by Iran – 81-year-old Baquer Namazi, his son Siamak Namazi, Princeton graduate student Xiyue Wang, environmentalist Morad Tahbaz, and art gallery owner Karan Vafadari – and Bob Levinson, an American who's been missing in Iran for more than 11 years. A seventh American citizen, named Robin Shahini, has been released on bail in Iran, but it's unclear whether he is free to leave the country. (Family Handout ) Xiyue Wang, an American citizen and Princeton University Ph.D. student, is being detained by Iran while he was conducting research in the country. 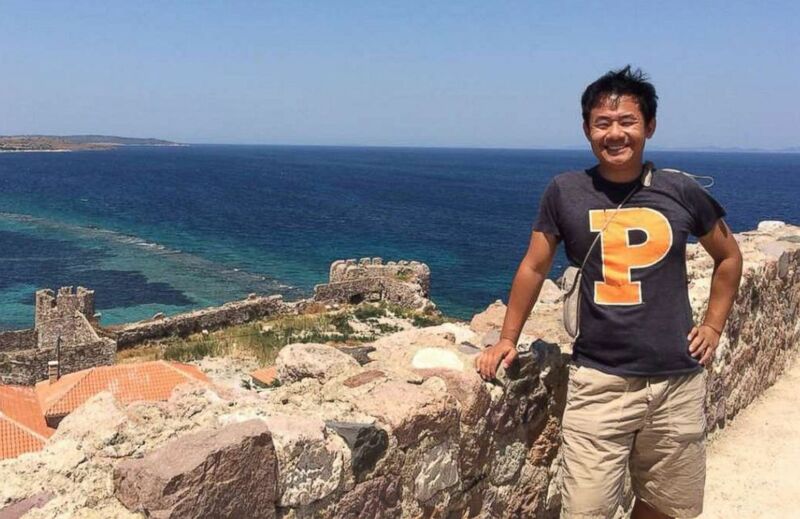 On Friday night, Xiyue Wang's family and Princeton University, where he was studying ancient Iranian history, will hold a rally for his release, urging the Trump administration and Iran to come together to secure his release. Wang was arrested in August 2016 and one year later was sentenced to a 10-year sentence on espionage charges. His wife Hua Qu, who will speak at Friday's rally, previously told ABC News that she fears for his life. In Washington on Wednesday, the family of Baquer and Siamak Namazi met with senior White House officials and members of Congress. The family and their lawyer Jared Genser wouldn't comment on Trump's Iran deal decision and whether it has hurt or helped their case, saying they did not know. "All that matters to me is a safe and immediate return of my family home before it's too late," said Babak Namazi, the son of Baquer and brother of Siamak, who has been in Washington several times since his brother was first taken in October 2015. 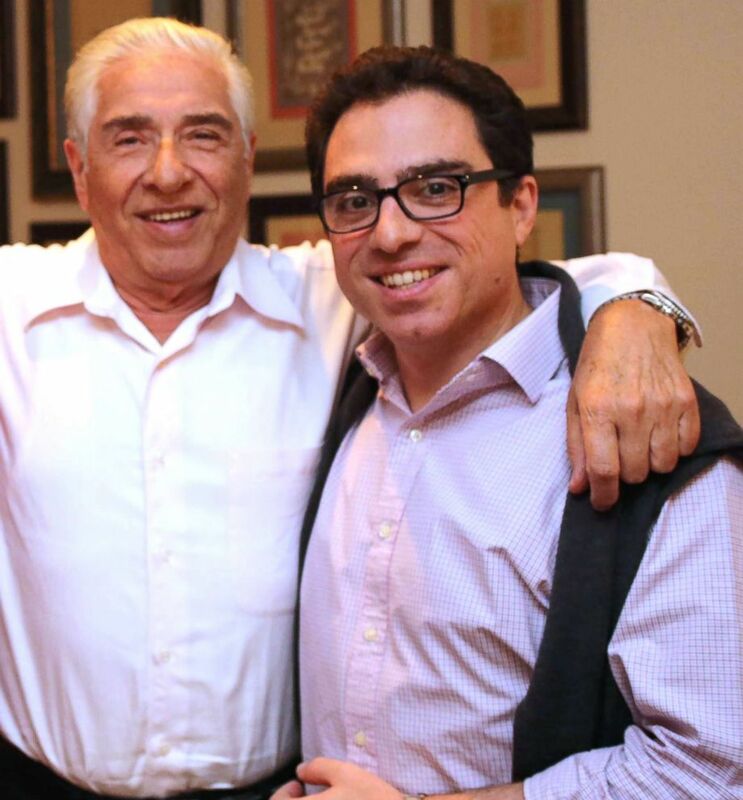 (Babak Namazi via AP) Baquer Namazi, left, and his son Siamak shown in an undated photo made available by Babak Namazi, the brother to Siamak. Baquer and Siamak Namazi, a 46-year-old businessman, are both serving 10-year sentences for spying for the U.S. – charges that they have denied. The administration told Genser and Namazi that the decision to exit the deal would be "very helpful in sending clear messages to Iran," Genser added. But there is one downside to the decision: The U.S. will no longer attend the regular Iran deal meetings that occurred every few months, where the U.S. had its only encounters with Iranian officials to press them for the Americans' release. A senior State Department official said Tuesday the administration is having "conversations... with a number of parties to try and resolve those cases," but declined to elaborate, given the sensitivities. Without those direct engagements, the Namazis are urging Trump to open a channel to Iran to deal with this issue, with Genser saying, "We've made very clear to them we don't see a pathway forward without direct contact with the Iranians." It's unclear whether the Trump administration has ever tried to do so, or is right now. They are also asking the administration to consider various options to get them home, including a prisoner swap. Genser wouldn't say whether U.S. officials are open to that. "It is critically important that the situation of the hostages be dealt with on a separate humanitarian track," Genser said, adding that they are grateful for the administration's support, but now is the time for them to take "serious and relentless action." On the news of the three Americans' release from North Korea, Babak Namazi said he was "thrilled for them, but crushed that my family is still there," adding that every day he grows more despondent. His father Baquer is 81-years-old and has been in dire health in the last few months, rushed to the hospital several times in the last year. There is growing concern that given his heart problems, he could die in Iranian custody. As one senior State Department official told ABC News earlier this year, "They don’t want a case similar to Otto Warmbier’s on their hands." Otto Warmbier, a 22-year-old American college student held by North Korea for 17 months, died six days after being returned to the U.S. last June. Morad Tahbaz is the most recent American to be detained, one of 10 environmentalists with the Persian Heritage Wildlife Foundation that were arrested in January and charged with spying, according to the Center for Human Rights in Iran. The U.S. government will not confirm Tahbaz's detention, citing privacy concerns, but told ABC News in February they are "aware of reports that a U.S. citizen has been detained in Iran." Karan Vafadari was arrested in July 2016 after Iranian Revolutionary Guard Corps agents first detained his wife Afarin Neyssari, who is a legal permanent resident of the U.S., at the airport and had him come to meet her. In a public letter dated January 21, Vafadari said he was sentenced a week prior for being a Zoroastrian dual national, according to the Center for Human Rights in Iran. Zoroastrianism is a monotheistic pre-Islamic religion from ancient Iran that still has many followers today.